Community radio station is the other intervention, being carried out. ‘Ujjas Radio’ will have the objective of promoting Community Media through CRS- “Saiyare Jo Radio” irrespective of the medium and developing and setting up mechanisms to make them truly democratic – a media ‘of’, ‘for’ and ‘by’ the people. It is covering 26 villages in the Nakhtrana area and main aim of setting it up is: To share area development issues by Community, increase access to local information and rights and revive local forms of art, history, and culture. Currently, the community radio station is broadcasting 3 hours every day. It’s broadcastes feature programmes for women, community members, school children and Panchayat members. The radio station is being run and managed by 11 women members from the community who are working with the radio station on voluntary basis. 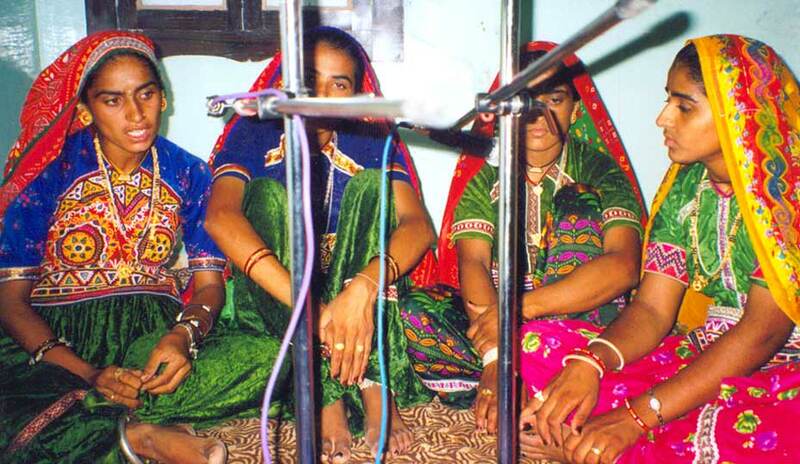 Music is an essential part of the culture among many of Kutch’s communities. Despite the region’s strong musical tradition Kutchi folk music has been in decline for a variety of different reasons. The decreasing demand for traditional folk music among Kutchi audiences has, in turn, marginalized many musicians. The musicians that remain face problems, too. There are few left. They are not organized. 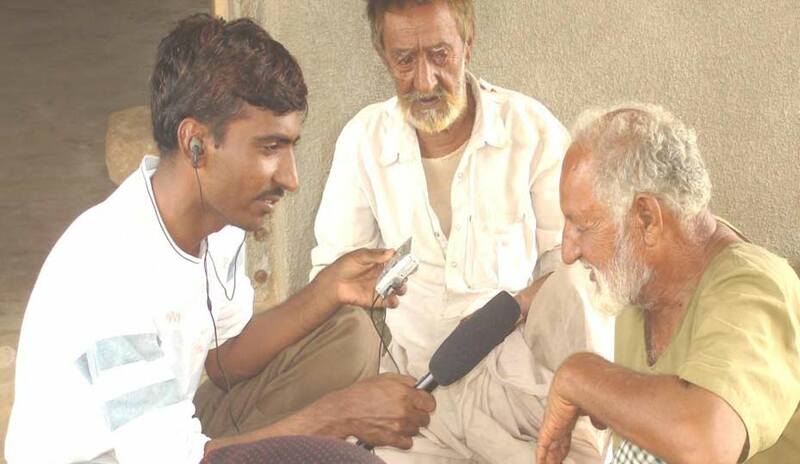 KMVS’ Media Cell, in the course of showcasing Kutchi folk music on their radio broadcasts, discovered this dire state of the region’s folk music tradition. In 2007 the Media Cell decided to step in to help. The primary way it has helped is through the creation of Soorvani. Sorvani is an informal organization of 305 musicians representing 38 different musical forms. The overarching goal of KSSS is to improve the status and situation of Kutchi folk musicians. Its objectives are to preserve, sustain, revive, energize and promote Kutch’s folk music traditions. There is no other organization working on these issues, so the work of the Media Cell is crucial in helping to keep Kutch’s traditional folk music alive. The Media Cell has engaged in a number of different strategies to promote Soorvani and help revive and sustain Kutchi folk music. It has organized and connected musicians to performances at the district, state and national levels. It has conducted trainings bringing together older and younger musicians. It has written and published newspaper articles, press releases and case studies about the gradual disappearance of Kutch’s folk music traditions. It has developed a music library with audio recordings and written documentation.